Lace Bandeau - Stori Anne Co.
91% Nylon/9% Spandex. 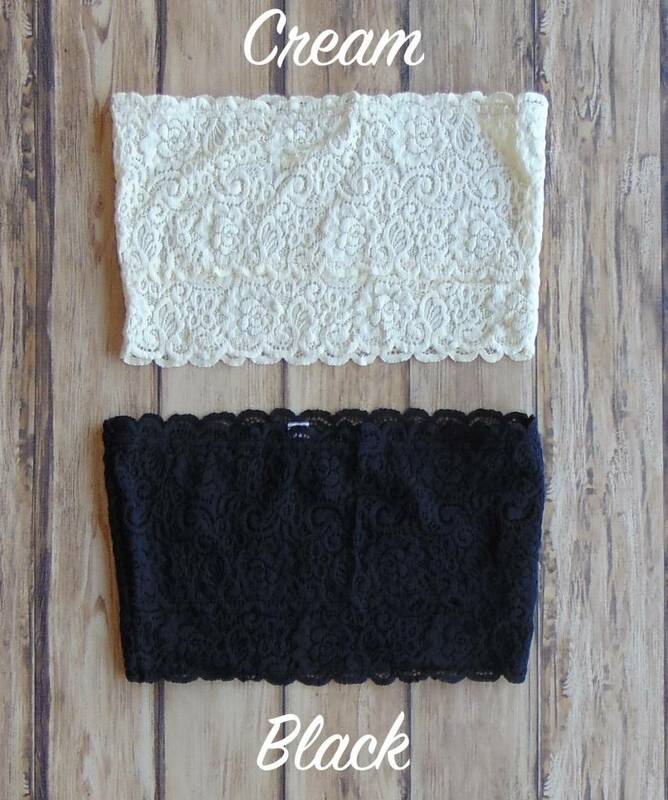 Extra soft lace bandeau with stretch fabric. Perfect for layering under any of your favorite tops, tanks and dresses for an extra touch of sass and coverage.